Dr. Marti Smye is the President of Leaders Matter, a management consulting firm specializing in organizational change. Marti is also an author and public speaker. 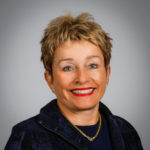 Marti has spent 30 years as a consultant and executive coach, founding several businesses and serving as the Global Head of Coaching/Senior Client Partner at Korn Ferry International. Marti is a graduate of Miami University and the University of Toronto’s Psychology PhD program.